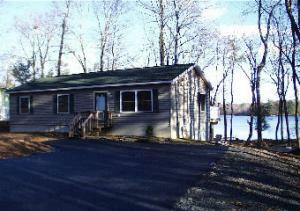 Poconos Communities and Neighborhoods - A Buyer's Guide. Poconos Questions. Chat Local Agent. My Name is Rick Golden and I've been asked by a friend to guide his family through the purchase of a lakefront home in the Poconos. 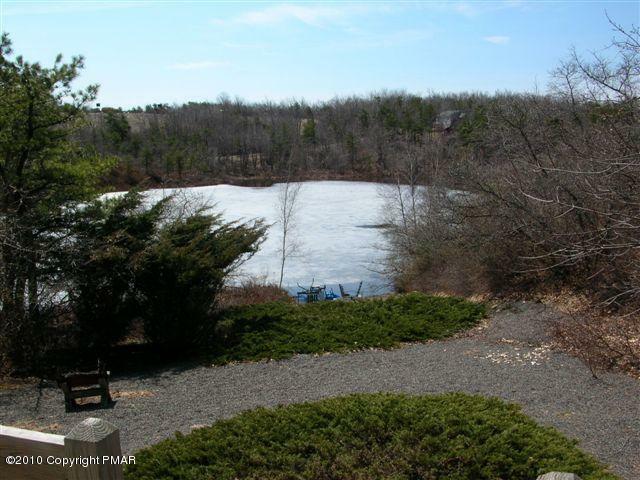 As a lifelong resident and a Poconos Realtor with 37 years experience in Poconos Area real estate, a retired builder and a former VP of real estate at the Poconos largest ski resort, ther are few people who understand and know the Poconos real estate market better. 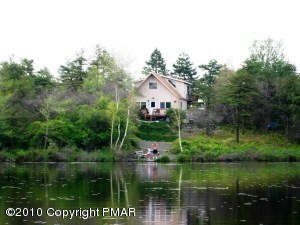 Here are my thoughts on where and how to find the right Poconos Lakefront home. Generally it is best to start by finding the best community or neighborhood for your family. Since there is a great diversity, I like to start by referring to the "generations" of Poconos Neighborhoods. The first generation would be a large parcel of land with a lake that exists on it's own with no restrictions (other than township or state) and therefore allows the owner to use his land and lake as he/she wants. As of this writing I can think of only one of these with any decent size lake still left and this property is NOT available to the market. A second generation neighborhood would be one of the first that has been subdivided into larger (one acre plus) parcels and has only a few restrictions (no chickens or pigs, no junkcars, perhaps only an inexpensive road maintenance agreement (meaning probably dirt roads ... this does not mean cheap houses as the neighborhood could be upscale but chooses to keep the roads uppaved for cost considerations or to keep people from driving through), and etc and allows the owner to build almost any style home subject to townhip and state regulations. An example of this generation would be Hallowood Acres in the East Stroudsburg area. The third generation would be a community with lots averaging 1/2 acre with (probably) paved maintained roads, some community amenities like pool(s), tennis court(s), clubhouse(s), common lands and restrictions governing the use of the lot and common lands. Examples of the covenants might be; architectual restrictions including size, style, color, and location of a home, restrictions on renting, selling, or the use of the home. Most neighborhoods and communitys fall within this generation. Examples would be: Arrowhead Lakes, Locust Lakes, Birchwood Lakes, Marcel Lake, Big Bass Lake, Emerald Lakes, Stillwater Lakes, A Pocono Coutry Place, Wild Acres, Gold Key lake. Fourth generation community (neighborhoods) are those where the developer established more restrictive covenants. Restrictions are, by the way, good things to have and not meant to be "restrictive" rather to be controlling of the look and feel of a community. The advice I usualy give is to "Drive though and if you like the way a neighborhood looks, the restrictions are probably the right ones for you." In the fourth generation the developer (or community board once the developer is gone) controls some aspects of the color, style and use of the home and the neighborhood usually has an advanced amenity package with community clubhouse, tennis courts, and etc. All of which lead to higher and more protected resale values. Examples are; Lake Naomi, Timber Trails, Split Rock. Fifth Generation Neighborhoods are those like: Snow Ridge Village, Northridge at Camelback, Wild Pines and Pinecrest Lake and Golf resort. These neighborhoods are set up with Trusts which govern the neighborhood and operate the amenities. The amenities and exteriors of the homes are maintained by the trust and you will generally find homogeniallity in the design and exterior surfaces of the home.